Fantasy baseball challenges players to create their own teams of Major League Baseball (MLB) players. Players can earn points as per the performance of their team members on field, compete against other owners of fantasy baseball teams in their league, and emerge as the league champions. Playing fantasy baseball greatly enhances the baseball experience, improves players’ understanding of the game, and helps them establish strong bonds with other baseball enthusiasts. When the group played fantasy baseball games in the eighties, it had eight categories—home runs, batting average, earned-run average, stolen bases, RBI, saves, wins, and composite ration, which is now called WHIP. The earliest fantasy baseball players were well-known to media representatives, and this is what helped them popularize the game. Fantasy baseball games come in three basic varieties, pertaining to only the National League, only the American League, and the keeper leagues. Some major fantasy baseball websites may offer other varieties of baseball games. Rotisserie Seasonal – This variant of fantasy baseball is the oldest style of playing the game. It used to be very popular once upon a time, but players now prefer other variants. Standard Rotisserie leagues have a specific number of categories, and each team in the league earns fantasy points based on its rankings. For example, if your team is ranked first and if the league has 12 teams, you will be awarded 12 points. If your ranking is second, you will receive 11 points. At the end of the season, your team points are totaled. If you happen to have collected more points than the other teams in the league, you will be declared the winner and awarded a purse. One of the disadvantages of this format is that up to four teams in the league end up with no chances of reaching anywhere near the top. This leads to loss of interest, reduced trading options, and decline in the rush for free agents. ROTO Head to Head – In this format, you will be playing against an individual opponent who changes every week. For instance, if you beat your opponent in RBI, wins, batting average, strikeouts, and wins, but tie with your opponent in saves and lose to your opponent in runs, homers, WHIP, and ERA, you will be the winner by one point. You would then be 1 – 0 in the lead when you play the second week against another opponent. A season may run into several weeks, followed by the postseason of a few weeks. Points – This format is similar to the ROTO Head to Head system. You have to play against an opponent and the game lasts a week. Scoring system varies from one fantasy baseball site to the other, but usually you will awarded points for double, single, triple, run, home run, RBI, and so on. 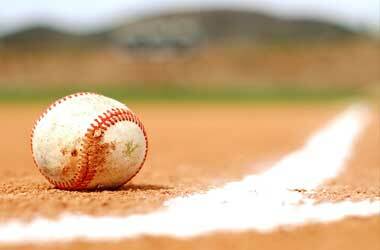 Fantasy Baseball Contests – There is no dearth of fantasy baseball contests at fantasy sports websites. In this format, you will have to purchase players to create your roster, but a cap will be imposed on the amount of money you spend. Once you have drafted your team, you simply have to earn points based on their performance on the field. Your team’s performance will be compared to the performance of other players in your league, and the owners of teams that perform very well and finish at the top will receive real money prizes. These are paid games and you will have to pay a fee to get in. The leagues can be ROTO Seasonal or ROTO Head to Head. Q1. Do I have to spend a lot on fantasy baseball games? You can spend only as much as you can afford to spend. If you do not wish to spend any money on fantasy baseball games, you can play them for free. However, you will not win any real money prizes if you play for free. Q2. What is a fantasy baseball league? It depends entirely on your fantasy baseball website, but usually a fantasy baseball league comprises anywhere between eight and twelve teams, which play against one another for the championship title. Q3. Can fantasy baseball be played on mobile devices? The top fantasy baseball websites have web apps. You do not have to download a separate app on your mobile device. You can just access the fantasy baseball website on your smartphone and tablet browser and start playing fantasy baseball games on the move. Q4. Where are fantasy baseball games available? Fantasy baseball games are available at several sources online. You can play them at major sports sites such as MLB.com, ESPN, Yahoo!, and others. You can also sign up at any of the fantasy sports websites we recommend. We have carefully researched these sites and made sure that they are 100% safe and legal. Q5. So how do I get started? To get started, you simply have to sign up at a website that offers fantasy baseball games. If you do not want to take any risks, start by playing for free. Once you have got the hang of the game, you can create a private league and play with experienced friends who are willing to help you master the strategies of the game.